This year's candidates, Laura Beston and Daire Hennessy, want to bring change to the union. 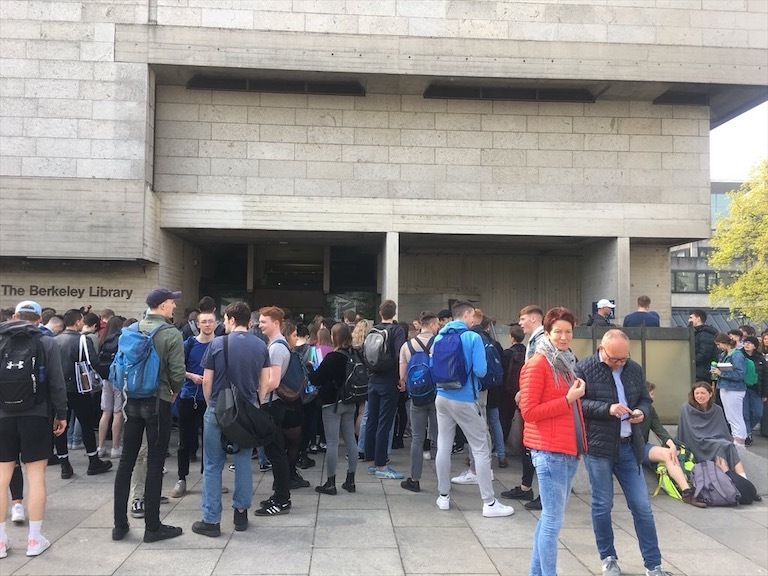 From debates about union focus to complaints about a lack of diversity, the race for Trinity College Dublin Students’ Union (TCDSU) president has often been defined by what it was missing rather than what it offered. 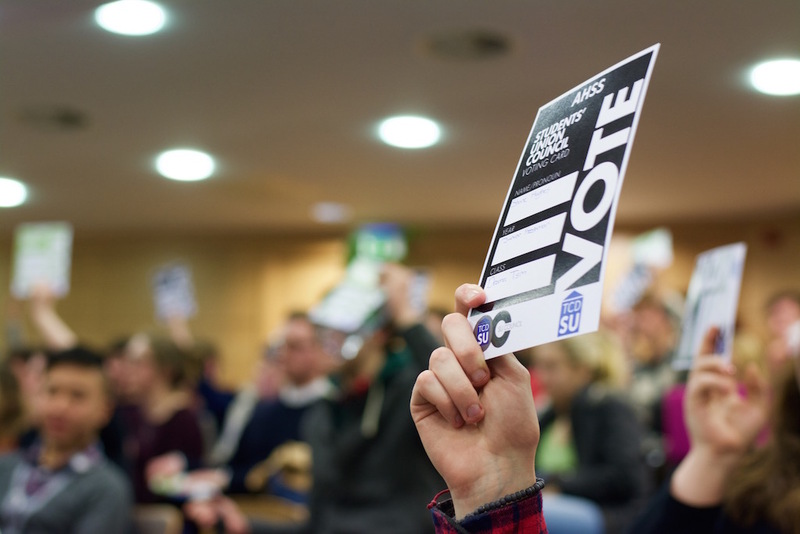 With both of this year’s candidates come from within the union, serving in senior positions on TCDSU’s executive, the average student could be forgiven for expecting more of the same. But Laura Beston and Daire Hennessy both believe they represent a change. This year’s race will undoubtedly see comparisons drawn with the 2015 race, when Lynn Ruane broke ranks to secure the position of TCDSU president. With Beston the first woman to run since Ruane and Hennessy endeavouring to cater to students typically excluded from the union through his role as Access Officer, its unsurprising that both candidates would be keen to align themselves with Ruane’s presidency. These similarities alone, though, will not be enough win over the student electorate. With the union currently sitting on a devastating deficit and several crucial student issues vying for attention, Beston and Hennessy will need strong platforms if they are to take up the mantle of president next year. Beston, a fourth-year English and film student, believes the union “could definitely do with more procedural systems in it”, she says in an interview with The University Times. “A lot of the time with the presidency, people are going into the role and just saying ‘I’ll do this, that and this’, and someone comes along the next year and they do something else and something else and something else, but there’s no continuity between it”, she said. Hennessy, a third-year BESS student, has a similarly illustrious career history with TCDSU. Formerly a class representative and the current Access Officer, his presidency, he told The University Times, would focus on changing the people who interact with the union, making it more accessible and diverse and hosting a “broader range of ideas” to combat the “groupthink” of student politics. Encouraging more engagement from those with outside perspectives is a core part of Hennessy’s approach. This comes from a very personal experience for him, as he admitted that he felt like “a bit of an imposter” within Trinity after having come through the Higher Education Access Route (HEAR) scheme. He believed that this feeling of being an imposter “is one of the biggest issues for access students”. It is an attitude he is keen to dispel, though, noting “people like us, we do go to college. People like us already have been SU President, and people like us do really well in college and go on and be really successful”. Part of his plan to achieve this access is to introduce a greater element of fun to the union. “It’s all a bit too serious”, he explained, “the issues we’re talking about are always serious, and they’re always important, but I think we need to realise that we need to have a bit of fun as well”. Pointing to the fact that two councils this year have failed to reach quorum and that students often view the Academic Senate as a tedious – if significant – endeavour, he believes the key lies in campaigns: “We often have stands in the Arts Block or in the Hamilton, for say for welfare weeks and stuff like that… and that’s really important, but I think we can make them funner as well and more engaging for students”. When it comes to the deficit issues facing the union, Hennessy didn’t pull any punches. He recognised that, whoever does fill the role next year, “is going to have really difficult decisions to make”. “It possibly could mean losing a sabbat. It could mean losing vital services. The longer we leave it to address these issues the more damage is going to be done to student services”, he said. Beston agreed that its something that needs to be kept an eye on and that all elements of the union should be drawn in, from the union forum to the staff in the union shop. As for the Trinity Education Project – the issue with which most students are preoccupied with this year – both candidates appear to be in agreement that more needs to be done on a departmental and academic level to achieve the results Trinity seeks. “We’re lucky to be in a position where we have representation on the committees where these decisions are made, and I think that needs to be taken advantage of more”, said Hennessy. Beston, meanwhile, describes the project as “quite a logistical issue”, and said that “College need to be able to get academics onside to be able to go forward with this, to be able to implement this”. Ultimately, for both candidates, the presidency boils down to being proactive, and working to achieve the best conditions for students – whether that’s in academic matters, or more holistic issues. “It’s a less well-defined role as the other sabbatical roles”, mused Hennessy when asked what the presidency requires. “One of the most important things is a passion. A passion for students, and a passion for education and for what we’re all doing”. Despite the often ambiguous remit of the presidential role, there is undoubtedly certain characteristics a candidate must fulfil – an ability to mobilise students, think laterally and execute tangible change on campus is key. With these aims on their minds, the presidential race is set to be a high-stakes clash between two candidates presenting reformist ideals. Time – and no doubt some lively hustings events – will tell how much of this is revolutionary, and how much is merely rhetoric. Eoin O’Hare and Orla Murnaghan contributed reporting to this piece. Jack Synnott is Deputy News Editor of The University Times, and will edit the presidential race during the upcoming TCDSU elections. Irish Language Editor Eoin O’Hare and Deputy Copy Editor Orla Murnaghan will act as presidential correspondents.